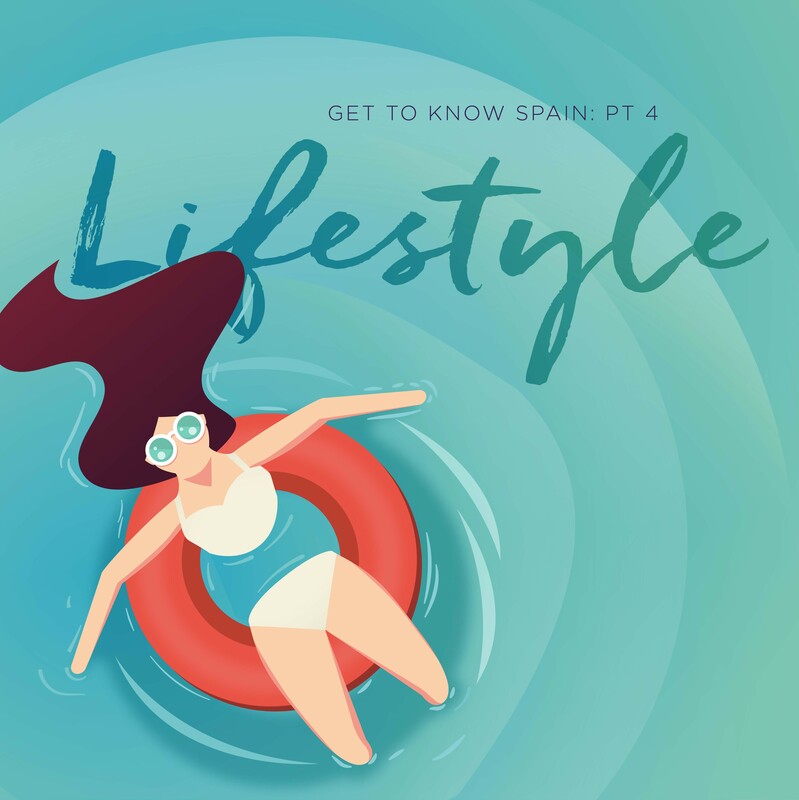 Before deciding to move to Spain, you may be wondering what the Spanish lifestyle is like and how the daily routines and culture differs from that of the UK. Thankfully we’ve compiled this short guide on what we consider to be some of the main benefits of living in this beautiful and vibrant country. Whilst some may take some getting used to, we think there is no better place to live. The Spanish lifestyle is similar to that of other neighbouring countries, in what has come to be known generally as the “Mediterranean lifestyle”. This varied way of living has been proven to prolong lifespans have even helped prevent illnesses such as Alzheimer’s in later years. This is due to many factors, such as the general healthy diet enjoyed by most, which is bolstered by fresh fruit, veg and olive oil (see our list of best Spanish food and drink here); the positive effects of sunshine and good weather on wellbeing and mental health; as well as a general relaxed attitude to life and living. Whilst a working day tends to be slightly longer due to the traditional Spanish Siesta, more on that below, we surveyed a number of our clients who all reported a significant increase in the amount of down-time they had. The evenings are longer and brighter which results in increased social activities and al-fresco dining, so the personal time with friends and family is heightened. Whilst this may not ring true for everyone, we’re yet to find a client who has moved to Spain that isn’t thoroughly enjoying their time in the sun, soaking up everything that the Spanish lifestyle has to offer them. The midday siesta is a well-known cultural aspect of Spanish life. However, a recent study in the country found that less people sleep during this period than thought. It is generally seen as a time to relax and unwind between 2pm-5pm however you see fit – be it shopping, relaxing, swimming, sleeping or eating and drinking. Again, this may not ring true for all parts of Spain but if you’re lucky enough to take advantage, why not benefit from a spot of daily relaxation? Even those with just a passing interest will know how seriously the Spanish take their football. Club teams regularly dominate European competitions and in Barcelona and Real Madrid they have two of the most well-known and successful clubs in the world, helped by having the best players. With the national team also winning 3 consecutive major trophies between 2008 – 2012 (including the World Cup), it has been a historic time for the sport in Spain. Even if you have little interest, it is worth going to see a live game just for the unparalleled atmosphere and passion. And the football is generally a cut above your average Sunday league! And if football isn’t your thing, just go to the beach and take in the weather, sand, sea and maybe even a cheeky cocktail. Spain has almost 5,000 miles of coastline, so it goes without saying that there are hundreds of pristine beaches and beautiful coastal towns. These areas are very popular, and life here can be just as idyllic as you’d imagine, with swimming, boat trips, fishing, sunbathing and water sports being parts of everyday life (see our previous post on some of the best Costa Blanca beaches here). These are just some of the reasons we love the Spanish lifestyle and whilst there are many more, they are best experienced first-hand. If you’re looking for your dream home in Spain, give us a call on 0800 011 2639 . At Sequre, we can arrange one-to-one viewing trips from start to finish so you can enjoy the Spanish lifestyle and view properties handpicked to your requirements. Get in touch with the team today. We hope you have enjoyed this short blog series on Spanish culture, and if you are still not convinced, check our list of "100 reasons to move to Spain”.